HI RECORDS - Memphis record label started end of 1957 by former Sun artist Ray Harris in partnership with former session musicians/songwriters/producers Quinton Claunch and Bill Cantrell. Cecil Scaife, who later joins Sun, is the label only's employee, operating from a rented house on Poplar Avenue in Memphis. The capital comes from Joe Cuoghi at Poplar Tunes record store , and three silent partners, including Cuoghi's lawyer, Nick Pesce. The first single, reviewed December 9, 1957, is Carl McVoy's ''Tootsie'' b/w ''You Are My Sunshine'' (Hi 2001), subsequently leased to Phillips International, and re-released in April 1958. With the money from Phillips, the partners install a recording studio in an abandoned movie theater on 1329 South Lauderdale Avenue in Memphis. Hi Records' first big hit was "Smokie Part 1/2" (Hi 2018), an instrumental by The Bill Black Combo in 1959. Black was a bass player with Elvis Presley and a long time friend of Ray Harris. Founder Claunch was forced out of the label, selling his share in 1960 to Carl McVoy (Jerry Lee Lewis' cousin), who had been involved with label since its first recording and worked with Bill Black. Willie Mitchell joined the label that year as a recording artist. He later went on to produce Al Green in 1968. Bill Black's saxophonist, Ace Cannon, landed a hit with the single "Tuff" (Hi 2040) in 1961. Willie Mitchell became head of Artists and Repertoire and was the label's producer. Mitchell met Arkansan Albert Greene in Midland, Texas, and asked him back to Memphis 'to become a star'. Using former Stax drummer Al Jackson, Jr. and three Hodges brothers, Teenie, Charles, and Leroy, on guitar, organ, and bass, Mitchell cultivated an intense moody sound. Described as 'deep soul', the sound was perfected on Green's series of million-sellers: "Let's Stay Together" (Hi 2202), "I'm Still In Love With You" (Hi 2216), "Tired Of Being Alone" (Hi 2194), and so on. 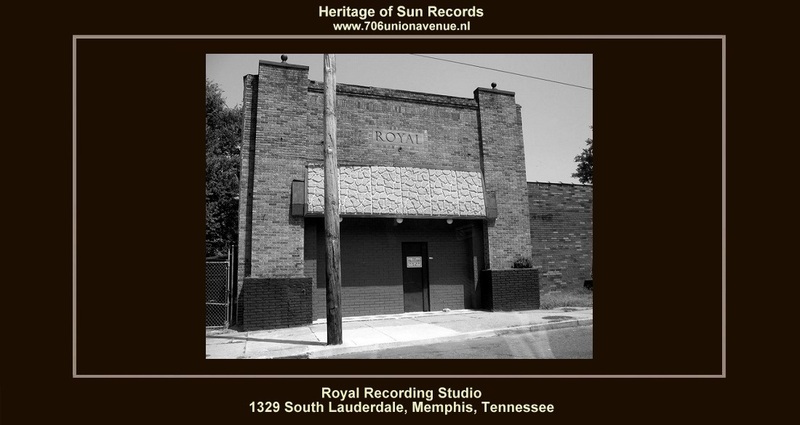 Recordings for Hi Records was done at the Royal Recording Studios located at 1329 South Lauderdale in Memphis, Hi's offices were located at Poplar Tunes, Cuoghi's record store. The label became a subsidiary of British-owned London Records. Years later, Hi artist Willie Mitchell performed at some of Elvis Presley's New Year's Eve parties in Memphis. Other artists on the label, including O. V. Wright and Ann Peebles, did not reach the same level of success. In 1970, when founder Joe Cuoghi died and Ray Harris retired, Nick Pesce became president and Willie Mitchell was made vice-president. Hi Records closed in 1977, but the studio, now known as Royal Recording, is still open and was run by Willie Mitchell. His Royal Sound Studio is the only survivor among the Memphis sound studios. Royal Sound is generally not open to the public. Recent success has come from Scottish teeny-popper Wet Wet Wet, blues artist Johnny Mayo, Syl Johnson, Krysto (the Polish Elvis), and Rappers 201. The best place to experience the history of the label is at Willie Mitchell's own nightclub, Willie Mitchell's Rhythm and Blues Club at 326 Beale Street. Willie Mitchell died in Memphis on January 5, 2010 from a cardiac arrest. His final work was producing the final Solomon Burke studio album, ''Nothing's Impossibile'', released in June 2010. JOE CUOGHI – Born on May 15, 1922 Died 13 July 1970, Memphis, Tennessee. 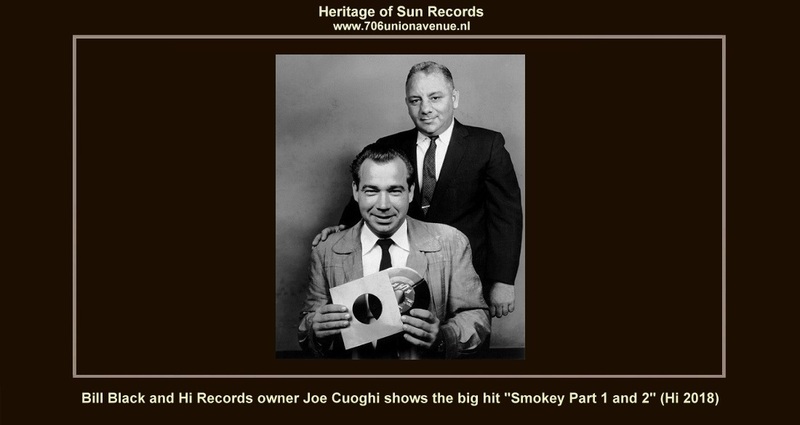 Joe Cuoghi (pronounced so that it rhymes with boogie) was the founder and president of the Hi label. This is not so much a biography of Cuoghi as a history of Hi Records. 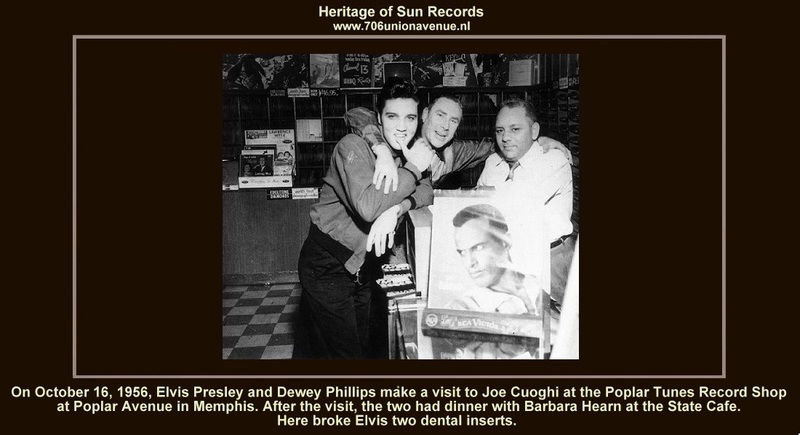 Joe Cuoghi founded a record shop in Memphis, Poplar Tunes at Poplar Avenue, in 1946 with a high school friend, John Novarese. Soon it became a hugely lucrative business, which was expanded to become a distributor to the jukebox trade and a one-stop (a subdistributor that services small shops with all labels). Among the frequent visitors of Poplar Tunes was one Elvis Presley. In 1957, Cuoghi got a visit from three men : Ray Harris, Bill Cantrell and Quinton Claunch. Former Sun singer Ray Harris felt he could produce records and wanted to start a record label. Cantrell and Claunch, who had worked for Sun and Meteor on country music production, were his partners. While working in construction, Harris had met Carl McVoy, a cousin of Jerry Lee Lewis, and for $3,50 Ray cut a demo of McVoy doing a rocked-up version of "You Are My Sunshine". In order to get the record issued, Harris and his partners needed someone with money. Cuoghi couldn't resist the opportunity to start his own label and so Hi Records was born. He recruited his lawyer, Nick Pesce (pronounced "Pay-shee"), and three other investors, Sam Esgro, Bill Brown and Bill Crudgington. They put up $500 each. Harris, Cantrell and Claunch put up nothing, but were to work on the creative end. Cantrell was to be president. Each of the eight partners had thirty shares. Harris and his two partners took off for Nashville with the money and recut "You Are My Sunshine" with "Tootsie" as the other side. This became Hi's first release (Hi 2001), but shortly before it was issued, Cuoghi bought out the three silent partners, making him the majority stockholder. He replaced Cantrell as president. Early in 1958, the Carl McVoy single showed signs of success and as the distributor orders rolled in, the pressing costs climbed. As hopes and egos soared, hardly anyone noticed that none of the distributors were paying their bills. The record almost put Hi out of business before they got off the ground. Ultimately, the disc - and McVoy's contract - was turned over to Sam Phillips (for $2600) for release on his Phillips International label. With Sam's money, Cuoghi and his partners rented an old theatre at 1320 South Lauderdale and installed recording equipment. This theatre became the Hi recording studio. It took some time for Hi to find its distinctive niche. The first sixteen records issued on Hi (1957- 1959) - all unsuccessful - were by an array of obscure local performers, some of whom were heard from later. By the summer of 1959, Hi Records was about to fold. Enter Bill Black. One Sunday in 1959, Elvis's original bass player came to see Ray Harris. Black and Presley had fallen out the previous year and the bassist planned to start his own combo. Harris had some local musicians in mind to work with Black. Together they recruited Reggie Young (guitar), Joe Hall (piano), Martin Wills (sax) and Jerry Arnold (drums). Their first record, "Smokie, Part 2" (Hi 2018), became Hi's first national hit, peaking at number 18 pop and number 1 rhythm and blues in late 1959. Meanwhile, the label had been picked up by London Records for national distribution, an arrangement that would continue until 1977. Cuoghi couldn't afford to pay session fees for all the hours the musicians had invested in "Smokie" and offered them a profit-sharing plan instead. This led to Willis and Hall leaving the Bill Black Combo; their replacements were, Carl McVoy (piano) and Ace Cannon (sax). In December 1959, Hi released its first album, "Smokie", by Bill Black's Combo (HL 12001). Ray Harris quit his job to concentrate on Hi and persuaded Cuoghi to plow back some of the earnings into a three-track recorder. Quinton Claunch was forced out of the Hi partnership after cutting a Bill Black soundalike band for another label. Carl McVoy bought Claunch's share for $7000, which he earned on the next Bill Black record, for which he brought an old Hammond organ to the studio. "White Silver Sands" (Hi 2021) was a Top 10 hit (number 9) and, like its predecessor, topped the rhythm and blues charts for four weeks. The Bill Black Combo maintained a consistent output with varying degrees of success for many years, even after the death of Bill Black in 1965. Ace Cannon cut a solo album with his own combo in 1961 and soon had a hit of his own with "Tuff" (number 17 pop, number 3 on rhythm and blues). The course of Hi Records was set. Greasy blues-based instrumentals became the label's trademark. By the mid-sixties, the sales of Bill Black and Ace Cannon began to tail off and Hi's most consistent seller became Willie Mitchell, who was essentially recording a punchier version of the same thing. But there were vocal hits as well for Hi. Gene Simmons, who first recorded for the label as early as 1959, had a number 11 hit in 1964 with a slick remake of Johnny Fuller's "Haunted House". Jerry Jaye revived Fats Domino's "My Girl Josephine" and took it to number 29 in 1967. However, by then Hi was stagnating. The salvation for the company came as Willie Mitchell started assuming an increasing role at the Hi Studio. Mitchell had a taste for jazz, but also understood what was commercial in contempo- rary black music. He moved Hi into the soul music genre, achieving fantastic success with Al Green (from 1970 onwards), the most successful Hi artist of' them all. Chart success on a more modest scale came with Ann Peebles, also in the early seventies. Joe Cuoghi died July 13, 1970 in Memphis, Tennessee. Willie Mitchell became executive vice-president (after buying out Ray Harris and Carl McVoy) and Cuoghi's lawyer, Nick Pesce, became president. After turning down a $ 9,000,000 offer from Atlantic Records, Hi was sold in 1976 for considerably less. The buyer was Al Bennett, one of the founders of Liberty Records, who operated from the West Coast. After a couple of years of trying to record Memphis Soul in Los Angeles, Willie Mitchell left the label. Since the introduction of the compact disc, Hi leased their material to several labels, including Motown, MCA and Right Stuff (EMI-Capitol Special Markets), with much of the label's output being reissued on CD. TRI RECORDS - A subsidary of Fernwood Records, Memphis, Tennessee. M.O.C. RECORDS - A subsidary of Fernwood Records, Memphis, Tennessee. DIANE RECORDS - A subsidary of Fernwood Records, Memphis, Tennessee. LOUIS RECORDS - A subsidary of Fernwood Records, Memphis, Tennessee.